Why Mahler? Why does his music affect us in the way it does? Norman Lebrecht, one of the world's most widely read cultural commentators, has been wrestling obsessively with Mahler for half his life. Following Mahler's every footstep from birthplace to grave, scrutinizing his manuscripts, talking to those who knew him, Lebrecht constructs a compelling new portrait of Mahler as a man who lived determinedly outside his own times. Mahler was--along with Picasso, Einstein, Freud, Kafka, and Joyce--a maker of our modern world. 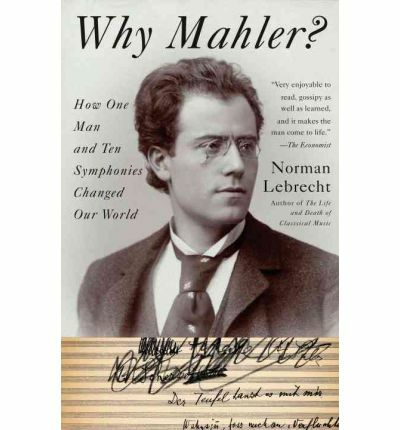 "Why Mahler? "is a book that shows how music can change our lives.